Uganda’s representatives Kampala Capital City Authority Football Club were on Saturday left fighting for life in the continent’s most prestigious club tournament after losing to Tunisian giants Esperance FC at home. 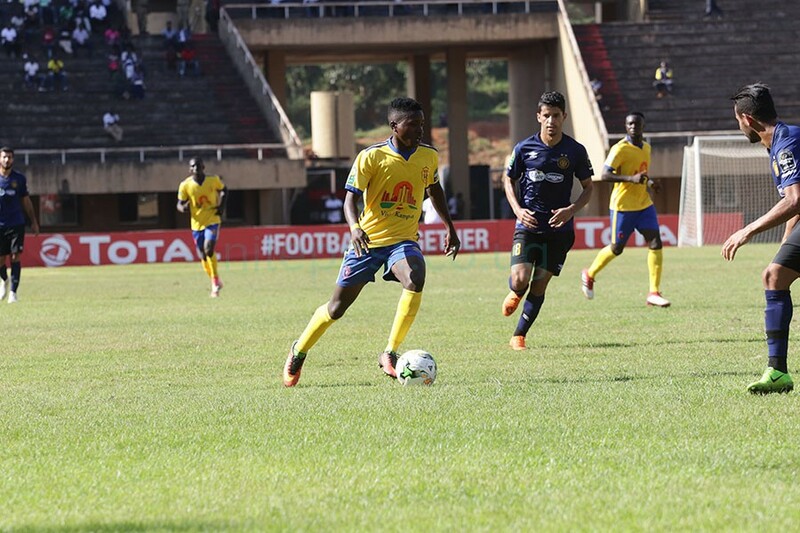 Going into Saturday’s game, KCCA FC were at the bottom of group A and needed to win the game to brighten their chances of fulfilling coach Mike Mutebi’s dream of at least reaching this year’s quarterfinals but the Tunisian giants had other plans. In an entertaining game played in Namboole, a stadium named after South Africa anti-Apartheid and freedom fighter, Nelson Mandela, the hosts didn’t survive the two time champions and four time runners up guillotine. Youngster Allan Okello tries to do his magic. Having started the game well, Esperance created a number of chances but were short of penetrating the Kasasiro boys’ defence not until the 40th minute when substitute Haithem Jouini capitalized on a long ball before firing past Charles Lukwago, for Esperance’s first and only goal of the game. The visitors created a number of other chances but were not lucky enough to put the ball in the back of the net. KCCA FC too created a number of chances but will have themselves to blame for not leveling matters or even taking the lead against Esperance. 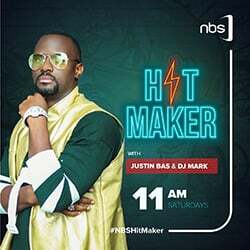 The hosts’ clearest chance came in 70 minutes after a quick exchange of passes in the midfield between Julius Poloto, and Allan Okello and Sadam Juma, only for the latter’s final ball to go begging prompting the fans into cursing. 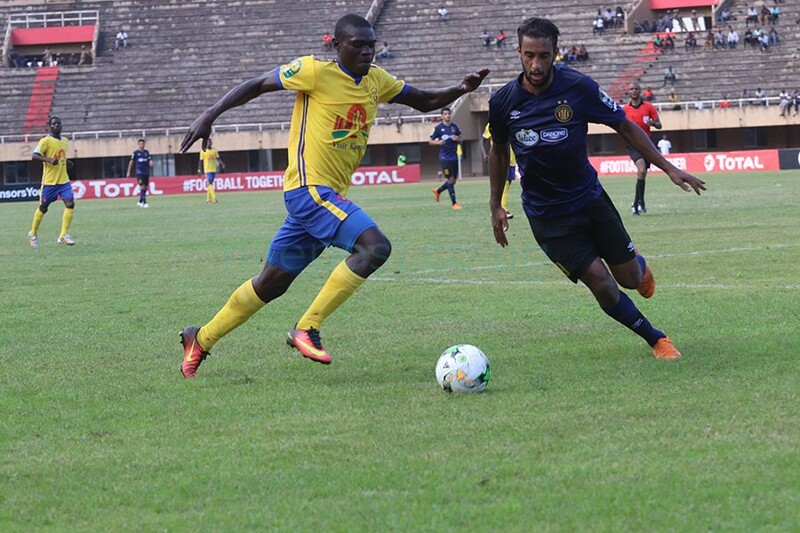 KCCA’s Musana tries to go past a Tunisian player. The Kasasiro boys were unlucky when they finished the game only ten men after goalkeeper Lukwago was shown marching orders after getting a second yellow card, only three minutes to the end of the game. Speaking after the game, KCCA‘s Mutebi said both teams played a good game but noted that the visitors were more efficient than his boys. “The way we handled the experienced side was fantastic but like I always say, we are still an emerging force and learning a lot,”Mutebi said. Asked whether he missed the services of striker Muhammad Shaban upfront, Mutebi said Patrick Kaddu who was playing as the team’s forward did exactly what Shaban would be doing. 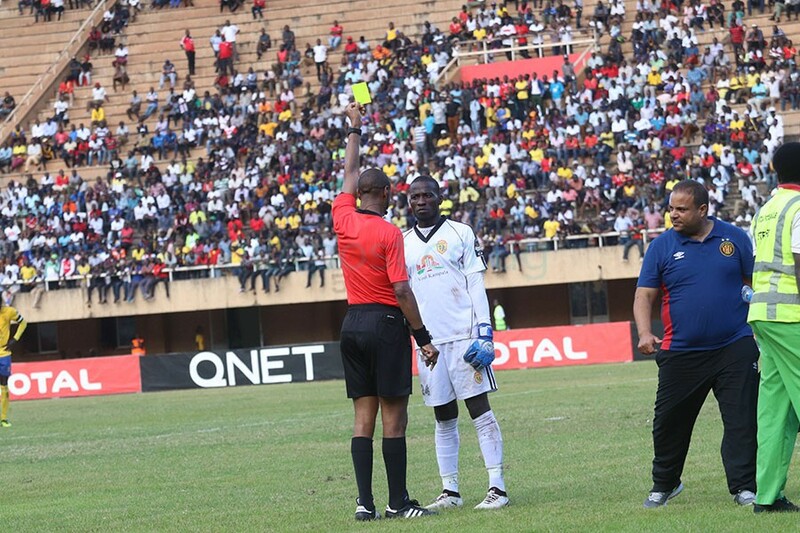 Goalkeeper Charles Lukwago was shown a second yellow card . Mutebi however said he still has belief the team will live up to their dream of qualifying for the quarterfinals of the CAF Champions League. Esperance are now top of group A with 10 points whereas fellow North Africa giants Al Ahly are second on seven points after four games. 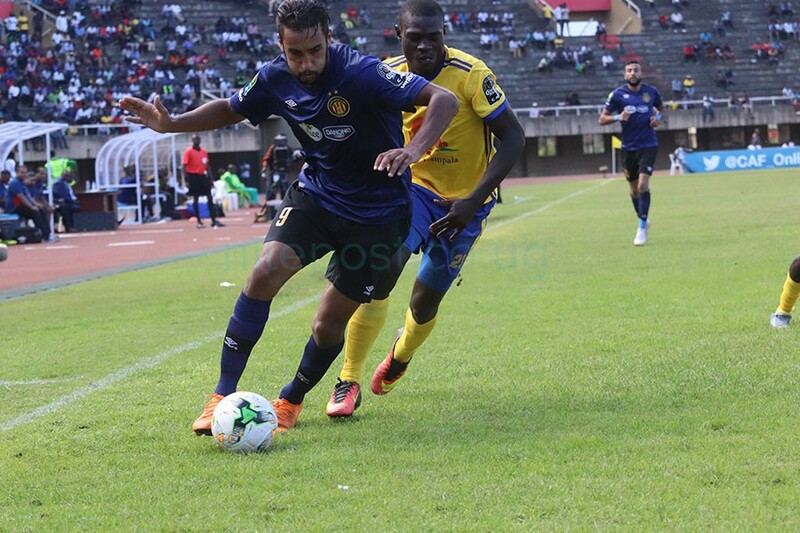 KCCA FC are at the bottom of the group with only three points and will need to win the remaining two games if they are to think of progressing to the next round of the CAF Champions League.